While working with SharePoint sites, we have very often created Document Libraries and Lists using the “More Options” feature present in the “Site Actions” menu on top left. While working on one of my SharePoint sites today, I started facing a weird issues all of a sudden. The site did not allow me creating any new item on one of my sub sites and an error message as “An unhandled exception occured in Silverlight Application” as in screenshot below. 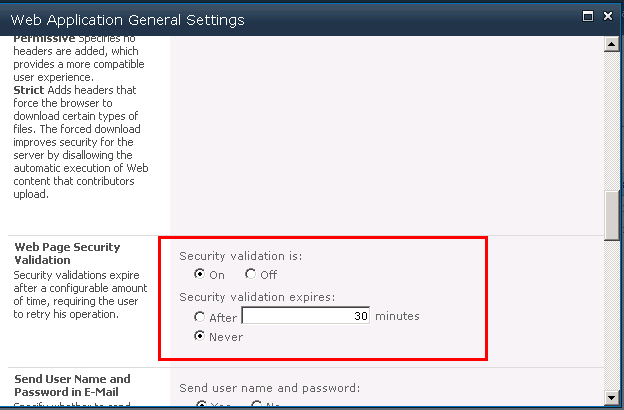 Set Web Page Security Validation to “On” and save the changes. Refresh the SharePoint site page and try adding one now.